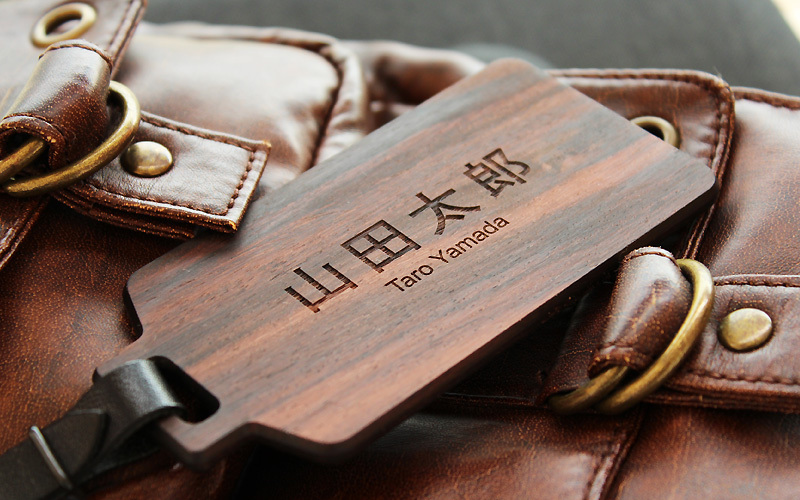 This deluxe name tag is made of genuine wood. It is very simple but very noticeable with beautiful wood grain and texture. 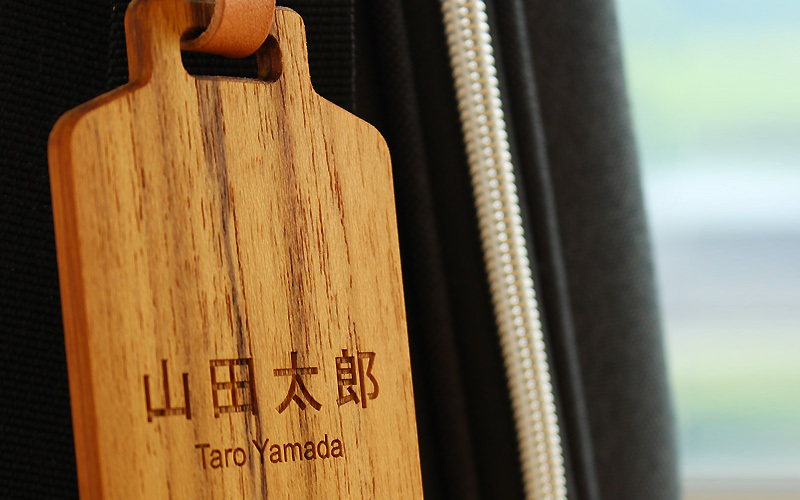 Unique enough to help you find your luggage but it can be customized with name engraving with choice of font and position. 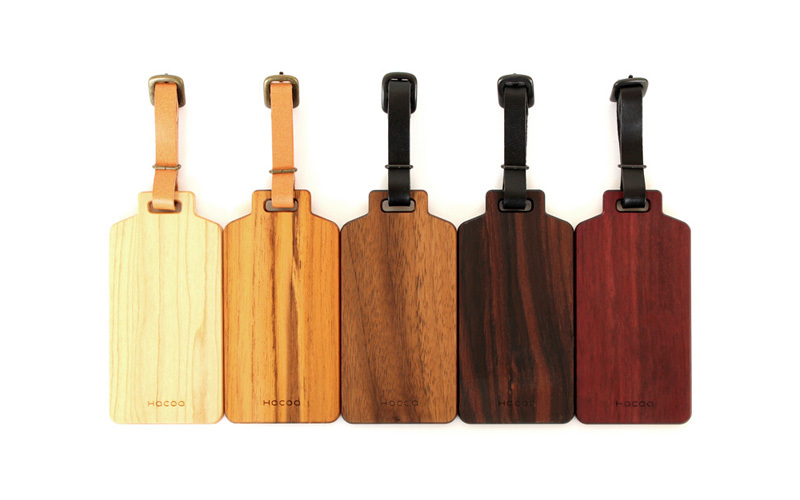 Available in 5 different wood types to match your trunk or golf bag. Text engraving on one side is included in the price. Comes with a leather strap.